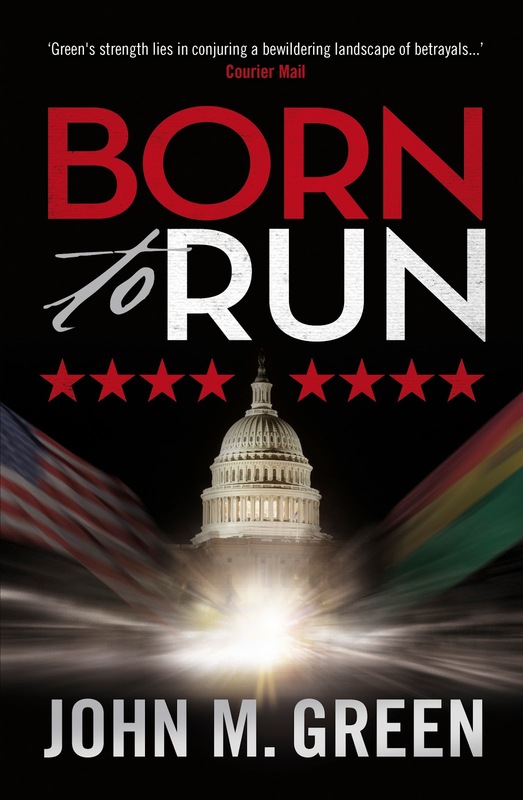 After reading and reviewing Nowhere Man by John M. Green, I received a personal email from the author and Pantera Press - an Australian publishing house - asking if I was interested in reviewing his second book Born to Run. Nowhere Man is an economic thriller set in Australia and Born to Run is a political thriller set in the USA so I knew before opening to the first page that I was in for a very different ride this time. Isabel Diaz had a poor childhood - with the scars to prove it - and is now a philanthropist and America's favourite in the lead up to the presidential elections. She is set to become the first female US President in history until it is all ripped from her grasp in a carefully researched and live TV show. Also happening at the same time is a carefully plotted terrorist attack on New York City that has the potential to bring the city to its very knees; but how are the terrorists connected to the politicians and who's pulling the strings? What was noticeably different between Nowhere Man and Born to Run was that Nowhere Man had an identifiable destination in terms of plot; there was a mystery that needed solving and therefore the reader was aware of the direction the novel was heading. This isn't the case with Born to Run. In Born to Run, you are never sure what is going to happen next; events take place but the reader is never permitted to peek around the corner or even get half a step in front of where the author wants you. This had the effect on me of a slow burn thriller, and I found that the last third of the book went by in an absolute rush and the heady climax was reached. My favourite character in the novel was Isabel's deaf son Davey who added such dimension to the plot and a fresh perspective on parenting when one parent understands ASL (sign language) better than another. Davey even had me laughing out loud when he tells a King Kong joke in ASL. I was also surprised at the Australian author's ability to fall into US politics so seamlessly despite his comment in the Author's note that he's: "...addicted to US presidential elections..." I must've tried at least half a dozen times in my life to understand how US government operates and then six months later, I've forgotten it all again. (This also happens to me with the rules of cricket). 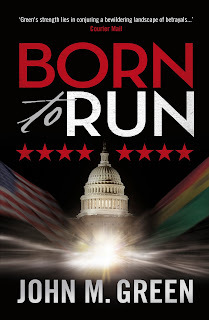 Nevertheless, you don't need to be an expert in politics to enjoy Born To Run, but if you have an interest it may enhance your enjoyment of this political thriller. Stay tuned as I'll be interviewing the author John M. Green very soon. Author John M. Green talks to My Four Bucks about his two novels, his writing and more, click here to read the interview.